Automobile is a hot sector from few years. Finding a stock from this space is though as valuation is costly in this sector from long. 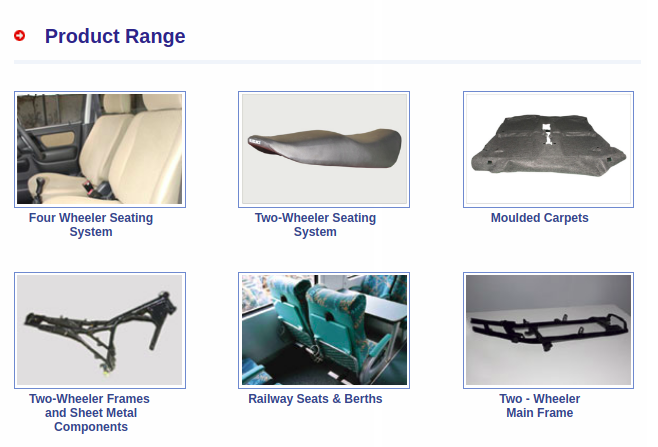 About Bharat Seats: Bharat Seats Ltd is a joint Venture of Suzuki Motor Corporation, Japan, Maruti Suzuki India Ltd and the Relans for the manufacture of complete seating systems and interior components for the automotive and surface transport. Net Sales growth for 2017 compared to 2016 is 18%. YoY June 2017 sales growth is 46%. YoY PAT growth is 160%. PAT growth of 2017 over 2016 is 68%. Debt of Bharat Seats is decreasing. Financial has improved on many fronts.